Happy Birthday. Did you know..... Your gorgeousness makes today an extra special day. Need a way to say a super duper happy birthday to someone? Let Rufus help you out. Happy Birthday. Did you know….. 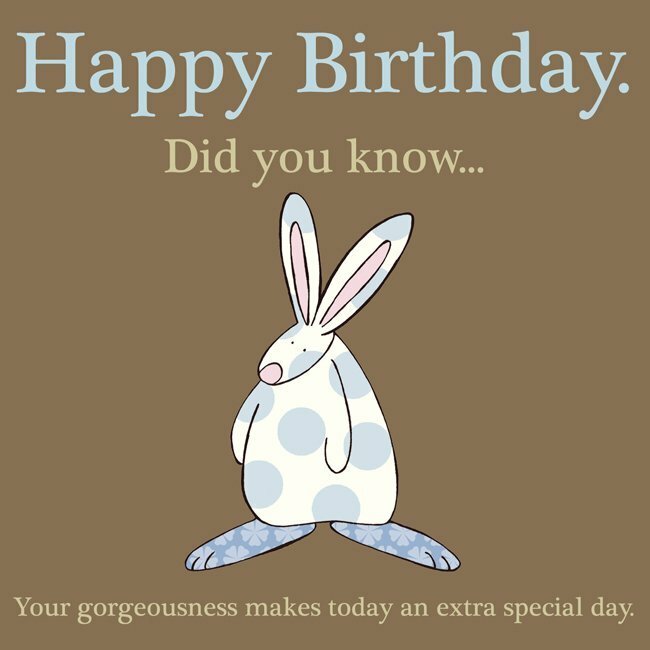 Your gorgeousness makes today an extra special day.